You’ve been zip lining before. Maybe you’ve been bungee jumping or even skydiving. But even the most seasoned thrill-seekers haven’t tackled the newest, most adrenaline-pumping experience to come out of New Zealand. 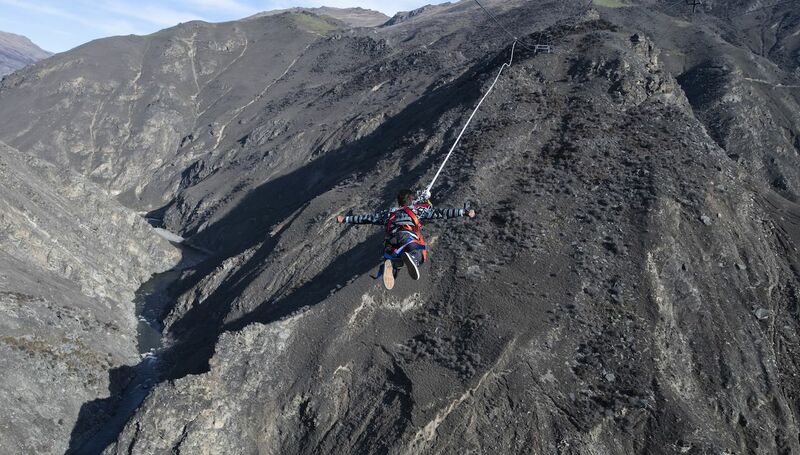 AJ Hackett Bungy New Zealand just announced the launch of the world’s largest, most extreme human catapult in the world: the Nevis Catapult. Housed right beside the Nevis Swing — one of the world’s largest swings — the Nevis Catapult hangs high above the valley floor and can only be reached by a swing bridge. The area itself is closed to the public and only accessible by Bungy 4WD. While (strangely enough) being shot out of a catapult might not have crossed your mind before, we have a feeling it’s about to be the newest addition to a lot of bucket lists. Bookings aren’t available quite yet, but we expect that you should be able to reserve your spot on the website soon.